In 1885 engineer Karl Stolp discovered mysterious graffiti in a cave, in the valley of the River Tinguiririca, on the Chilean Andes, at 34°45' latitude South, near San Fernando, in the Region of General Bernardo O' Higgins. Stolp told this discovery at Germanic Scientific Association of Santiago of Chile, 22 August 1888, and published the memory on the review Verhandlungen DES Deutschenwissenschaftlichen Vereins zu Santiago de Chile, Valparaiso, Vol. 2/1, 1889 - 1893, pp. 35 - 37. The cave "Casa Pintada", in the valley of the River Tinguiririca. "I was travelling through the chain of the Cajón mounts, when an unexpected snow storm forced us to seek for a shelter between the cliffs. I and my people left the horses and became to a cavern on the side south of the cliffs, 2000 feet (approximately 600 m) height on the bottom of the valley, very difficult to catch up. 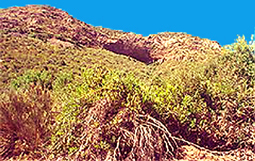 The native ones are kept far from that cave, because they say secret signs are found in it and they think it is haunted. The adverse weather forced me to shelter there. The cavern remained completely dry at any time, as it was evidence by the thickness of the powder layer. Strange graffiti covered the smooth walls and the vault of the cavern. I decided to examine the cavern with attention and dug in the powder, until finding seven human skeletons, five male and two feminine ones. Some of the skeletons were thus fragile that they went down to powder, between my hands. I found also roughly made raphia tools and jewels of shells. The strange signs on the walls were traced in colours red, black and white. Chemical analysis has revealed that red and black were obtained by rich iron clay, while the white was made of kaolin or ash. That cavern is named 'Casa Pintada', i.e. the painted house". 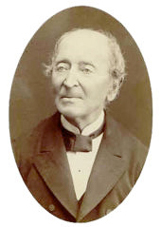 Ignacio Domeyko (1802 - 1889). The paintings of that cave already had been marked in February 1861 by the Polish scientist Ignacio Domeyko (1802 - 1889), a Chilean born polish-belorus, who was the first one to discover the Casa Pintada. In 1906 the site was partially ruined by an earthquake. 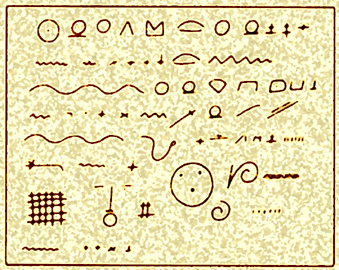 In 1974 George F. Carter Senior, Professor of Geography at Texas A&M University, sent the article of Stolp to Barry Fell, who was deciphering some strange scripts in the Pacific Ocean and in several parts of America. Carter thought those graffiti could be alike to the Polynesian ones. He was in truth. Painted graffiti of the cave Casa Pintada. “Southern limit of the coast caught up by Maawi. This is a name used today in North Africa (Mawi, Maoui) and means literally: "the water man", that is the navigator. This region is the southern limit of the mount lands that the commander (Rata, literally "the head", a word very similar to the semitic "Ras") claims by this writing, in this territory. He lead the fleet towards south until to this limit. These lands the navigator claims for its King and its Queen and their noble son, for an extension of 6,000 miles. It is a region steep and rich of high mountains. August 5, of the sixteenth year of the Reign ". Graffiti reported by Eng. Karl Stolp and translated by Barry Fell. A distance of 6,000 miles (approximately 9,000 km), north towards south. A fleet that would touch the American continent, coming from the west, in Mexico, between Cabo Corrientes and Manzanillo. In an exercise of fantasy, Barry Fell and his supporters supposed that the authors of those graffiti were the navigators of an only shipment, left from Greek Egypt in the fourth century BC, with the assignment to circumnavigate the globe... they would have covered all the Pacific, leaving other writings in other islands. Newly they would have sailed from the American coasts, in order to return towards the west, but they would have gotten lost in the Pacific. A group would have caught up New Zealand: they would have been the ancestors of the Maori people. In reality, Fell did not have any test of all this. He did not have the minimal idea of who were those navigators, or where they could be ended (apart the mummies found from Stolp, of which we don’t have any more news). It is not understood just as never a fleet sent from a Greek Pharaoh could leave writings in Libyan language, and not in Greek. 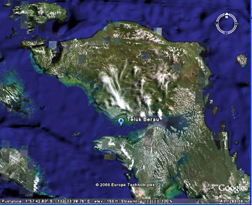 Western New Guinea (Irian Jaya) with the bay of Teluk Berau. Certainly they had to penetrate in the interior and they went until Casa Pintada, several tens of kilometres from the coast. A detail that it induces to think that the "taken of possession" here recorded was not a pure symbolic expression, but that the authors considered it the really as a property title on the New Continent. The place was defined "inaccessible" by the same Stolp: something as a sacred sanctuary, where ancient Libyan navigators guarded their claim of possession on great part of southern and central America. Those travellers were perhaps mythical "Viracochas", celebrated – centuries after – by the noble Incas as they were the bearded white Gods, miraculously appeared by the waters, in order to carry the technique and the civilisation? If the white Gods spoke and wrote in Libyan language, we can presume that they arrived from Atlantis and North Africa. But nothing helps us to assess if it were be a matter of an only shipment. Indeed, seeing the territorial spread of graffiti and writings in Libyan language, it appears probable that it is the matter of traces of many travels and various fleets, that covered the seas also in various times. Graffiti of the cave of Sosorra: the image of a ship. The mission of Josef Röder, of the German University of Frankfurt, discovered in years 1937 – 1938 in a cave to Sosorra, in McCluer Bay, western New Guinea, drawings, paintings and graffiti traced with coal and coloured ochers, conserved under a fine stalactite layer. The McCluer Bay today is named Teluk Berau. All the region is rich of graffiti and paintings left from ancient seafaring men. 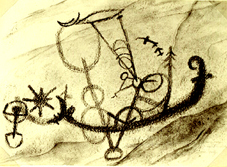 In the drawings of Sosorra cave, we find ships and fishing equipments, and astronomical observations, “wich illustrate celestial phenomena and astronomical equipments, between which a cross support, a sundial with variable angle, for using it at various latitudes, a calculation instrument that corrects the zenith angles, sky maps of constellations” and many drawings and paintings of religious character, that remember Greek and Egyptians divinities. You can also find indications of mines of gold and of silver. 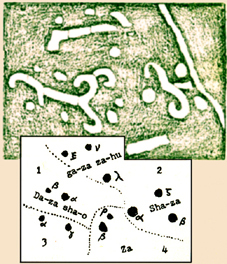 Graffiti of Wamera (Wamerei) Island: images of constellations (Ram - 1, Taurus - 2, Triangle - 3, and Perseus - 4), with writings in ancient Maori language. In the Seventies, Barry Fell interpreted the main registration of Sosorra as a kind of figured puzzle. The author of the drawing, who signed with the name Maawi, had to be the navigator of a fleet of six ships, at the orders of Rata. Fell thought that the captain Rata and the pilot, Maawi, were the founding fathers of Polynesia, because they appear in all the legends as the guardian Gods of the Islands. Libyan writings, according to Fell, were found in New Zeland "until 1450 AD" In reality, the names Rata and Maawi do not help to resolve this enigma, because they are not personal names, but they simply indicate the titles of a commander and of a navigator. 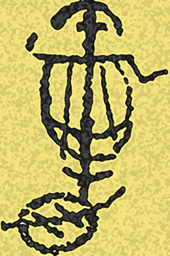 Tanawa in the graffiti of Sosorra, an ancient instrument for the measure of the longitude. The only data is this: who travelled through the Oceans spoke and wrote a Berber, Libyan language. Writings in the same language have been found again in various islands of the Pacific and in the valleys of Oklahoma and Mississippi. This induces to believe that several times the ancestors of the Berbers were sailing by trough the Oceans and touched far continents. No modern investigator would have had interest to counterfeit writings in their language and their alphabet. The studies that attribute to that people the sovereignty of the fabulous Reign of Atlantis, in fact, were published only in 2000, by the undersigned, while all these searches are independent and by far precedence. 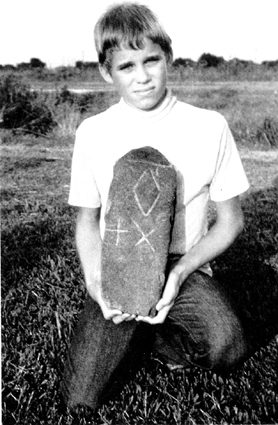 Brent Gorman with the "Warner Stone ", in Oklahoma, a border stone with the Libyan writing: "Land of property of Rata", that is: "Land of property of the captain". Atlantis of our studies was destroyed in an only, some day, about 1200 BC. Those navigators had to go out, before such date, through the oceans, in order to explore and to trade. They diffused thus the legend of the white Gods come from waters, who were neither Columbus neither Cortez, but rather a Libyan – Berber, ancestor of Massinissa, Giugurta, St. Augustin and of the Tuareg of ous days. Rock graffiti in Pitcairn island, in the Pacific Ocean.